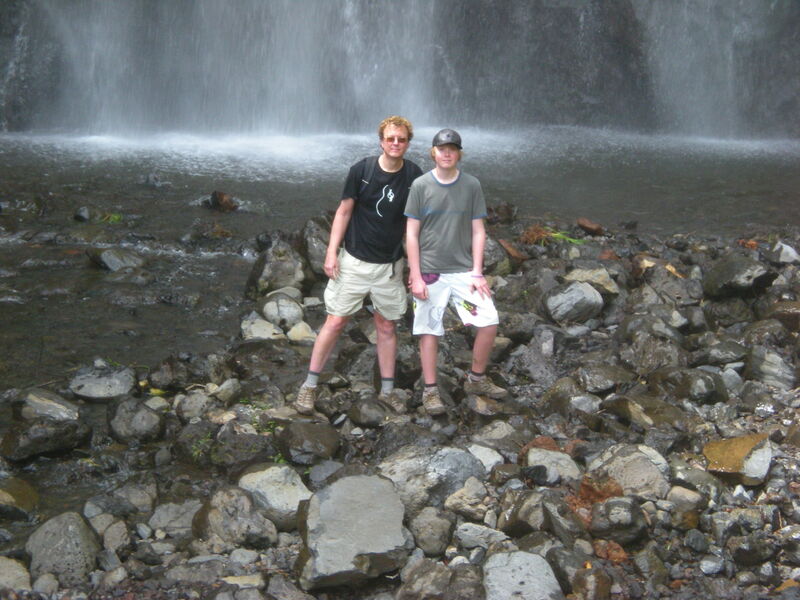 In April 2009, my family took our second trip to Hawaii. 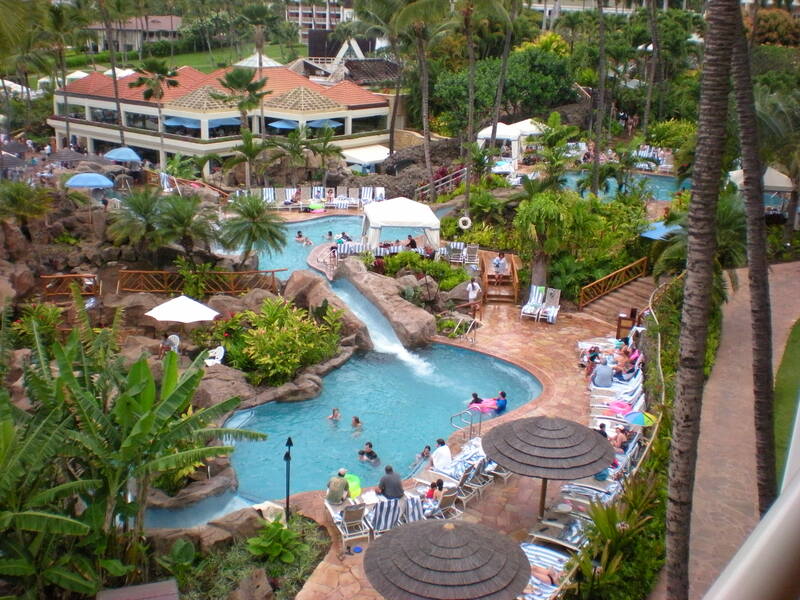 This time we focused solely on Maui, which we had not visited at all on the first trip. We first stayed on the west coast of the island, at a place called Napili Surf, where we could snorkel and see the whales surfacing right off the beach. One day, we took a sailing/snorkeling trip with Trilogy to the island of Lanai, where the Dole pineapple plantation once thrived. The small town still seems to remember Dole with pride. While sailing, we saw many whales and porpoises playing in the waves. At Napili, we also went to the Ulalena show, which was a beautifully staged theatrical representation of Hawaiian history. Leaving Napili after a few days, we circled around the south end of the island and spent one day in Wailea at the Grand Wailea resort, where they had the most amazing series of swimming pools we had ever seen. The spa was incredible as well. Everything there was over the top – and not really quite our style, but fun for a day. We had dinner at the Wolfgang Puck Spago restaurant on the beach at the Four Seasons resort, balmy evening breezes blowing in from the sea. 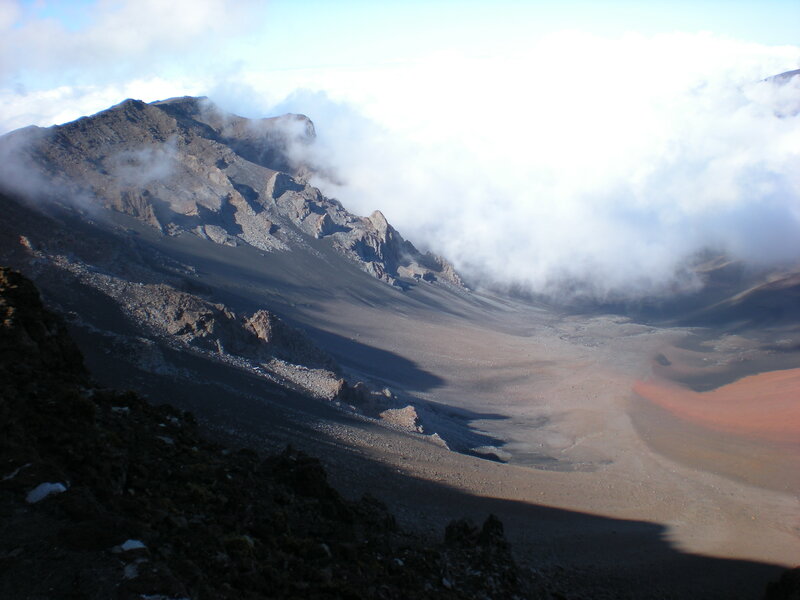 That night we drove to Makawao, in up-country Maui, so we could drive up to Haleakala, the volcanic crater, the next morning. We rose with the rising sun to take a zip line tour/nature hike through the forest. Then we drove the curving switchbacks up the side of the volanco, through swirling mists, up to the top. We took a short hike into the desert-like crater and returned to the rim to watch the sunset. The next morning, we took more curving switchbacks around the north and east side of the island: the famous “road to Hana.” We stopped at waterfalls for short hikes along the way. Our home in Hana was a cozy little house called “Hale Manu.” We went shopping at the local stores, visited the Hana history museum, which had a lot of information about their devastating tsunami. A favorite was our hike along the Hana Wainapanapa Trail, which followed a large stream from the beach up Haleakala, the stream winding through the trees and bouncing and splashing along the rocks and small waterfalls, up to a gorgeous waterfall free-falling down a cliff, cooling us with its spray. The day we left, we had to take the same twisting road away from Hana.. We stopped at different waterfalls and beaches, hiked into an Arboretum. Hours later, when we finally reached the north side, we stopped to watch the kiteboarders and windsurfers take on the north coast waves. What a colorful sight!